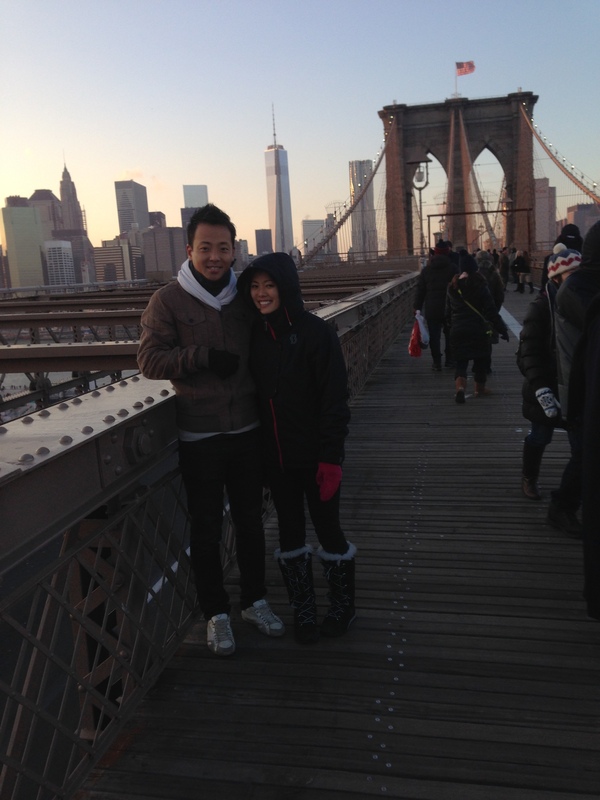 When we went to see the Brooklyn bridge, we took a subway from Canal Street, which was about 15 minutes. When we arrived, we couldn’t find the bridge right away. It wasn’t in an obvious place where you would find the stairs to go up the bridge like in L.A. I wish they had signs to show us or maybe we were simply always lost everywhere we went, which was majority of the case. When we finally found the stairs to go up the bridge, I was not ready for the strong wind blowing the entire time. It was colder up on the bridge than on the streets. 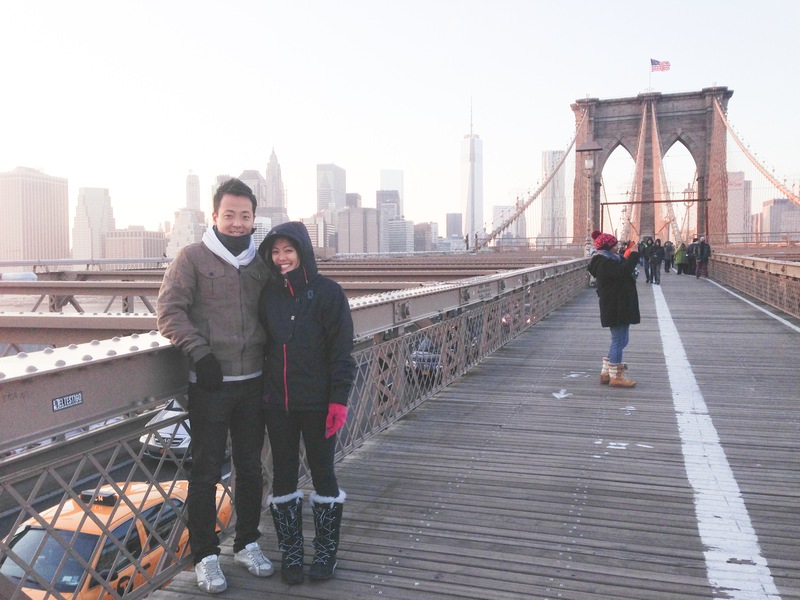 I highly recommend wearing extra warm clothes when you visit the Brookyln Bridge if you are visiting during the cold season. There is a lot of history behind how the Brooklyn Bridge was built. A short explanation is engraved on the bridge that you can read when you arrive here. The Brooklyn Bridge took over 14 years to built. I learned that over 20 people passed away when the bridge was being built including the original designer for the bridge. There were many complications when building the bridge because the pillars of the bridge needed to be set on equal ground underwater. The son of the original designer was able to help lead the finishing touches on the bridge. It is unfortunately that so many people had lost their lives in order to create a bridge. However, because of these brave engineers, millions of people are able to travel with ease on this bridge so many years later. 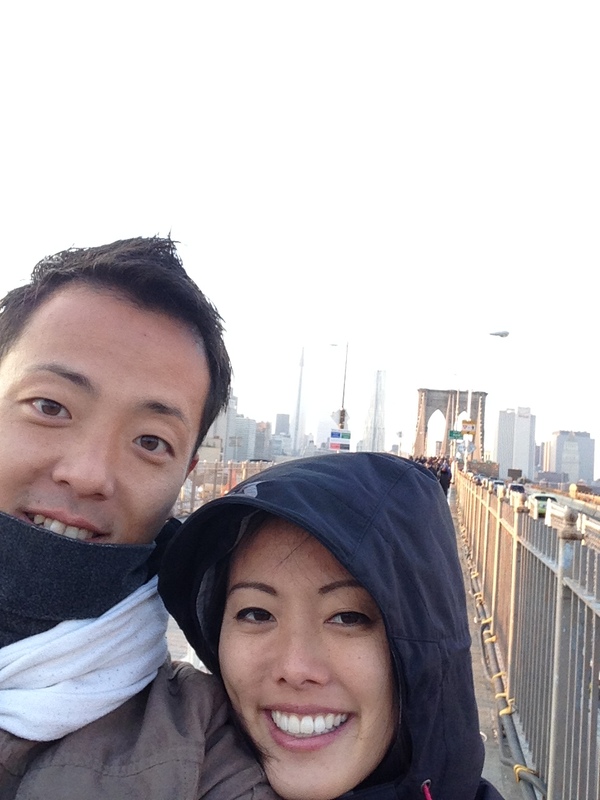 This entry was posted in Travel and tagged ニューヨーク, Brooklyn Bridge, brooklyn bridge facts, brooklyn bridge walk, New York, new york brooklyn bridge, new york vacation, new york visit, vacation new york. Bookmark the permalink.